7 card stud poker was among the most popular poker variation before community card games like Texas hold’em developed a following. The game is a lot more complicated than many other well-known poker variations, but it is also highly enjoyable. In this game, every player will be dealt seven cards, but only five will be used to determine the winner. The eventual goal of every player in 7 Card Stud poker is to win as many chips as possible. This game can be played with 2 to 8 people. At the start, every player will get two cards facing down and a third one facing up. This stage of the game is commonly referred to as the third street, and it is a crucial part of the game. The three cards should tell you whether or not you should continue with the hand. When the game concludes, each player will have received a total of 7 cards. Three of these are dealt face down and four are dealt face up. From these 7 cards, you will have to choose your best 5-card combination. Just like in other poker variations, the most valuable hand is the royal flush. According to 7 Card Stud rules, the antes are the forced bets which have to be made before you can receive any cards. The ante is paid as the cost of being dealt into the hand. The bring-in is posted by the player with the lowest ranking face up cards. If the player does not want to post the bring-in, they can make another bet equivalent to the lower betting increment. The action in the game continues in a clockwise fashion. The game will go through the fourth street, fifth street, sixth street, and seventh street, and at each point, the players will each receive one face-up card. 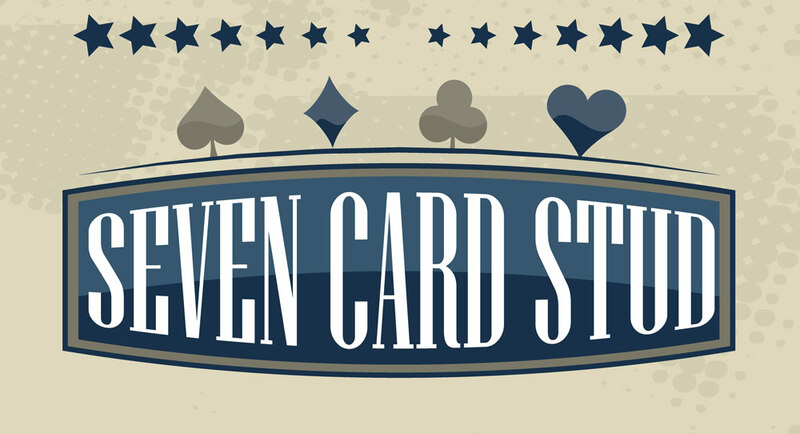 If there is still more than one player after the seventh street, they will show their five best cards and a winner will be determined. As mentioned earlier, the first part of the game is very important. Many people will only fold their hands if they have a very bad hand. In some cases, you may have to throw away an otherwise good hand because it is not live. For example, if you receive three cards of the same suit, but you know for a fact that several other cards of this suit are out on the deck, you should let go of the hand and cut your losses. You should always play with high-value cards. A small or medium value pair can help you win the pot, but they will mostly put you in a weaker position. An opponent with one high-value card has a high chance of catching another high-value card, and this will be a lot stronger than your pair. Having more than one high-value card is even better than having a small or medium value pair. If you are playing in a casino, it should be fairly easy to assess your opponents’ non-verbal cues and even playing style. You can tell how good their hand is by their behaviour on the table. The playing style can also be used to determine the strength of an opponent’s hand in live dealer online poker. For example, some people will call bets with weak hands or long shot draws. Others will raise in the exact same situation as a bluff tactic. Learning about your opponents will help you make better decisions in 7 card stud poker. Scare cards are any cards that make your hand a lot more valuable. They may also simply give you the chance to catch another high-value card that will strengthen your hand even more. Your opponent may also get a scare card, and that should worry you greatly. 7 card stud poker is one of the classic variations of poker. Every poker enthusiast should learn this game. It can take a lifetime to get the rules since the game is slightly more complicated than other forms of poker. The rules above should give you a solid foundation in the game. Make sure you follow the tips listed in this article in order to increase your chances of winning. Online Poker Rakeback – What Is It And Is It Still Used?